The Internet permeates all areas of life. Beyond phones, now cars, refrigerators, washing machines, thermostats, and even doorbells are connected to the Internet. And all of these things process information, and therefore feedback data. Aggregating and analyzing this data is critical to making people healthy, systems secure, commerce efficient, and machines more productive. Edge computing entails gathering and examining data while it is being generated, as close to the source as possible. In edge analytics, data is prepared and pre-analyzed on IoT devices, rather than being sent directly and unchanged to a centralized data store for later use. "Edge aggregation and/or analytics can decrease latency in the decision-making process. Using data closer to its source can be faster, easier, and more practical than traditional methods, and much of the data produced by IoT devices is not worth storing at all." (Shawn Rodgers, Quest Software). Storing unnecessary data is costly and complex and introduces security risk. Processing data on the edge means less data need be collected, stored, or re-processed en masse later. Also, since edge analytics can occur in real-time, some insights can be produced immediately. The lightweight, high-speed SortCL program in IRI CoSort is the perfect tool for filtering, masking, aggregating, segmenting, reporting on, and otherwise transforming data on edge devices.The data sets it produces are lean, clean, and compliant, and easily distributed to various platforms for further use or processing, like the IRI Voracity data management (hub) platform, which supports CoSort, Hadoop, and more analytic options. 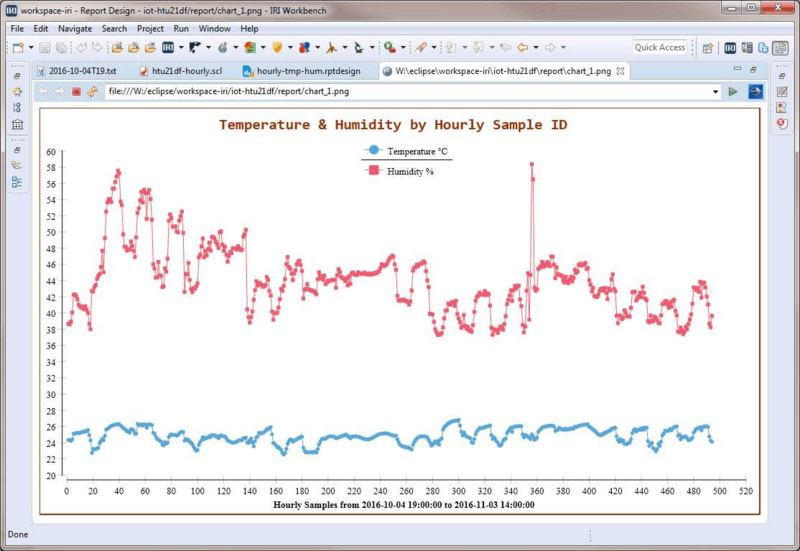 The IRI Workbench GUI for Voracity, built on Eclipse, supports data processing and presentation in the same pane of glass. After setting up connections to your data stores and aggregation jobs, wherever they happen to be, you can further process and analyze the data at unprecedented speed. 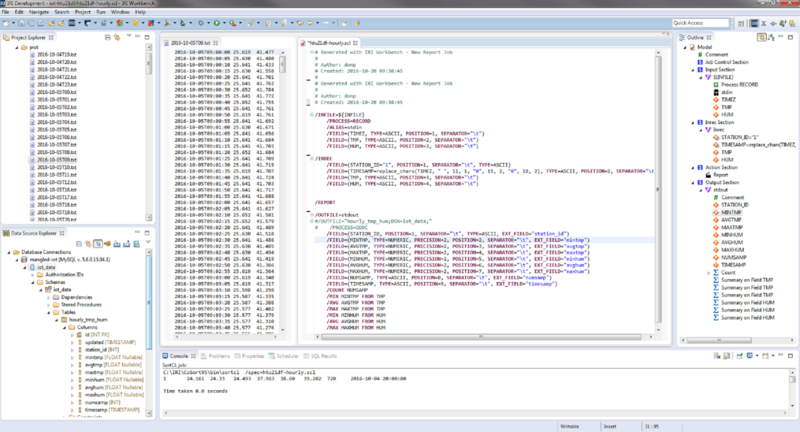 The following graphics illustrate how IRI Voracity handles aggregated device information and displays it immediately in the free BIRT plug-in for Eclipse.